It would be difficult to have a better footballing day than today. 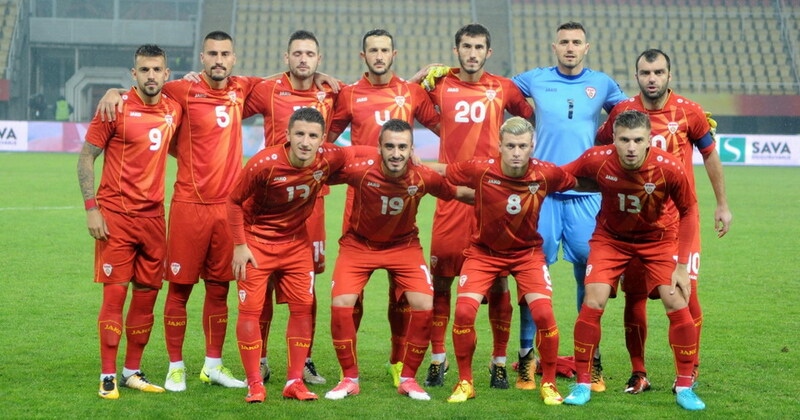 The Macedonian senior squad beat Norway (2-0) in a friendly, ending the year with one loss, to Spain (1-2). Needless to say this has never happened. At the same time Macedonia will likely climb to 77th spot in the world after today’s win. Keep in mind we ranked 165th at the end of 2016. Macedonia dominated the overly physical Norwegians who tackled our players with UFC wrestling moves. Something ought to be said for the Bosnian ref Jakupovic who was an utter disaster and routinely ignored the physical play by the visitors. Despite this, Macedonia controlled the match and one could sense the hosts had already set their minds on picking up a win in this match. Thanks to a perfect assist by Alioski to Pandev and an even better finish by the Genoa forward Macedonia opened up the scoring in the 43rd minute. What was good to see during this match is the maturity displayed by the young Macedonian players. They knew when to waste time, when to simply maintain possession, and when to pounce forward. Which is precisely what happened in the 93rd minute as pressure by the forwards resulted in a goalkeeping error by Norway, utilized cleverly by Markoski to seal the match for 2-0. Even more impressive today is Macedonia U19 win against star studded Belgium. Despite the fact Macedonia went down early, 0-1, it came back to beat Belgium 2-1. On paper, Belgium’s players who earn their living in clubs like Inter, Anderlecht, Manchester United… would beat any team, and they normally do, still weren’t a match for what appears is another golden generation of Macedonian young players. The U21 team produced high quality players, but now appears the U19 team with the likes of Jani Atanasov and Darko Churlinov have abundance of raw talent, at moments mocking the highly rated Belgians. Elif Elmas at the tender age of 18 plays for the senior squad and was included in today’s U19 match. Before the U19 qualifications, bookmakers gave Macedonia zero chance to qualify, on paper Switzerland and Belgium were much stronger. But that was on paper. Macedonia U19 has now defeated both Switzerland and Belgium and will play the last match against Liechtenstein. We expect a win here, however Macedonia has already qualified and sits on top of Group 5.